A major work of profound importance to our understanding of child development and education. Through a brilliant analysis and synthesis of epochal neuro-scientific research, she opens a window of understanding into the workings of our mind/body that is dramatically pertinent to children and adults. Fascinating and of serious value to all of us, it is hard to praise her work sufficiently". Joseph Chilton Pearce, author of The Magical Child and The Crack in the Cosmic Egg. "Those of you new to Smart Moves are about to embark on a fascinating journey into the process of human growth, development and empowerment." Candace Pert, author of Molecules of Emotion. "Carla Hannaford is unique, creative and visionary. 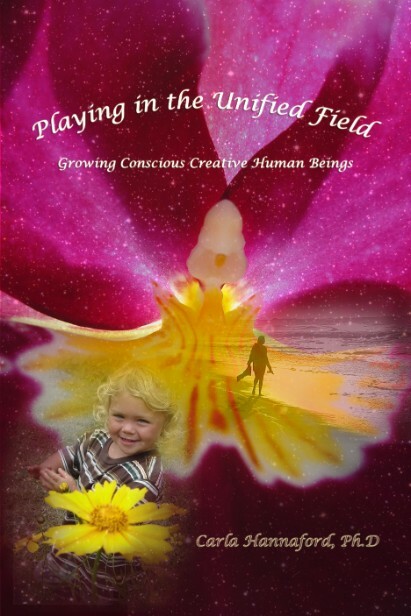 Playing in the Unified Field brings rich new realities to our heart, mind and possibilities." Don Campbell, author of The Mozart Effect.